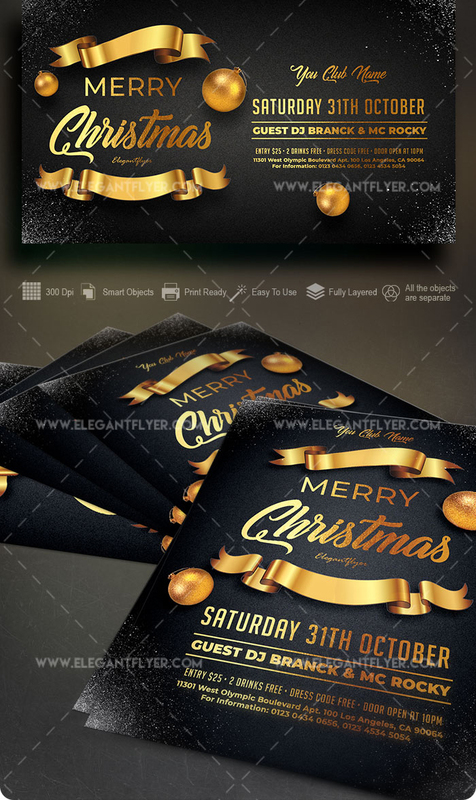 A Beautiful Gold And Black Merry Christmas Flyer Template With Facebook Cover Free Download. 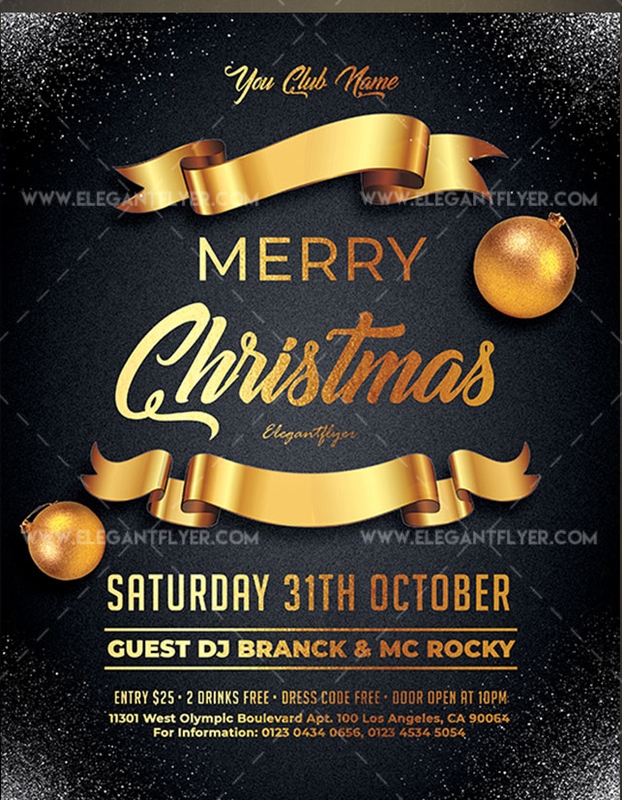 You got editable 2625×3375 dimension (8,5″ х 11″ with 0,25″ bleed) PSD Flyer. So You Can easilt Edit the text and add images or logos on your flyer.